The Fifteen52 R43 by Ken Block in both finishes, one of the many wheels we do. We are a North East UK company retailing automotive parts for modifying all types of vehicles. 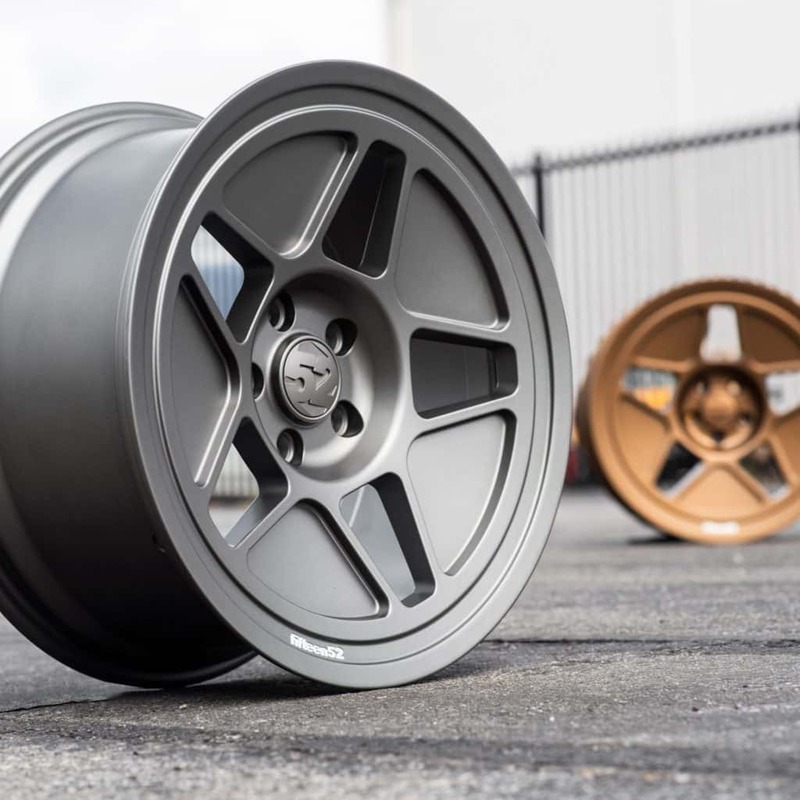 From Custom fit alloy wheels to performance and motorsport car parts, such as coilovers and road legal racing tyres the choice of products from us is growing almost every day. There will be a great deal more of products added to the store over the coming months such as turbo kits and other engine upgrades, interior parts and car care products, covering all makes and models .so there will plenty of choice for everyone. Beyond retail there are plans afoot to open a customising workshop up in the north east, also fitting the parts we sell. Furthermore, there will respray work and various other forms of customisation, restorations and more. We are excited about what the future may hold, and believe customisation should not just be for a small few that can afford it. We believe that we can be a great asset to the North east modified community (and beyond) and economy alike. No longer will automotive car customisation just be something for the U.S.A and southern england…. We are here to help not hinder you! Most of our items in the store are free delivery, often NEXT DAY in the case of pre drilled (not custom pcd) alloy wheels. If you don’t see it in the shop ask us for help, we might be able to get the product for you. In the rare circumstances we need to add a delivery charge it will be on the product page so you know what to expect. We want you to be happy with your purchase, it’s not good for either you or us if you aren’t! We are always open to any suggestions or any improvements we can make if so, you can let us know. 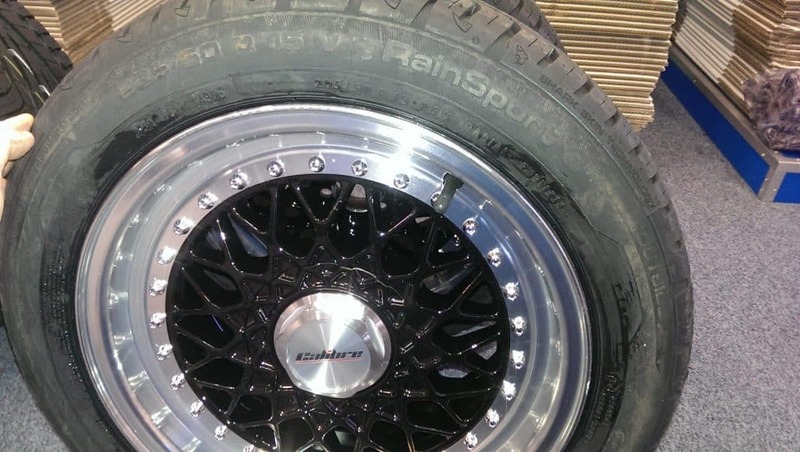 A sticky ‘A wet rated’ Uniroyal Rainsport tyre fitted to one of our wheels.